Super Bowl XLIX drew a historic 114.5 million viewers this February, which means that millions and millions of men, women, boys, and girls saw Always’ powerful “Like a Girl” commercial. For those who missed it, the “Like a Girl” ad, and associated #LikeAGirl campaign, highlighted how vulnerable girls become as they enter adolescence and the challenges they face moving forward in maintaining self-confidence and equality with men, particularly in the athletic arena. Ana is an awe-inspiring role model and illustration of female athletic prowess, yet there are many other positive, influential examples of what it means to do things “like a girl” that are crucial to the success of families, communities, and nations—particularly in developing countries. Women have specific roles and responsibilities that provide them learned behaviors and knowledge of their local resources and environment. Women make up 43% of the agricultural labor force in developing countries and account for an estimated two-thirds of the world’s 600 million poor livestock keepers. Women and girls collect water for their families and homesteads, globally spending 140 million hours each day to secure clean water used for essential cooking and drinking. 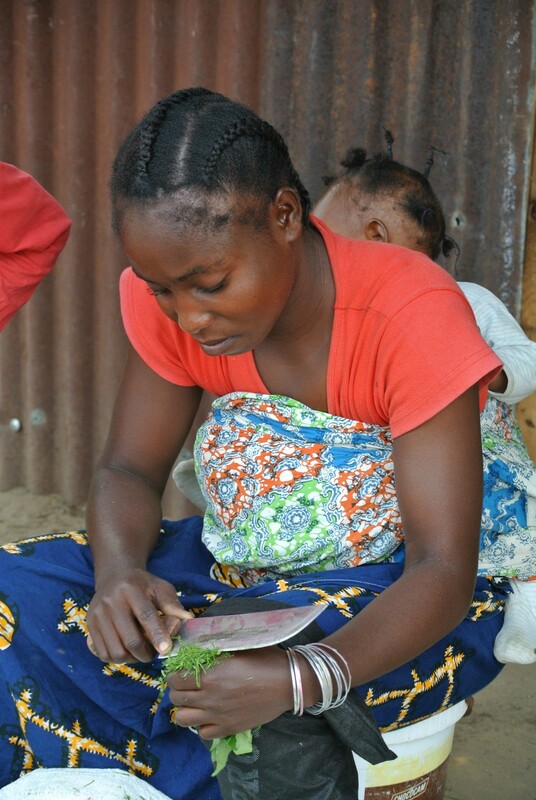 Women’s knowledge of non-timber forest products, particularly medicinal plants and alternative food sources, means that a higher percentage of plants have been identified as edible and disease cures. Throughout Africa, Asia, and Latin America, women are poised to lead in small-scale energy entrepreneurship. There are many different ways to act “like a girl” that are indisputably more vital for human well-being than running or throwing a ball. In some countries such as Guatemala, newborn females rarely get formally registered in an official system. Since babies are typically born at home, one of the parents needs to take the time to go to the nearest city and register the child. Because women are not viewed or treated as equals, often only boys get registered, resulting in many girls growing up as “unknown citizens.” They are never allowed to vote or gain access to credit or education—effectively; being born a female means you do not exist. Globally, one-sixth of girls die in early childhood. Reduced care-seeking for girl babies compared with boy babies is consistently reported, especially in South Asia. Women are responsible for 60 to 80% of all house and care work. Often girls are expected to carry water and fuelwood, which can prevent them from being able to attend school. In much of South Asia and Sub-Saharan Africa, girls as young as 10 and 11 years old are forced into marriage and are expected to reproduce shortly thereafter. At GGO, we are working to address these staggering gender gap statistics by helping to secure global agreements that lay out concrete areas of action to achieve gender equality, women’s empowerment and sustainable development. Compiling data on country performance, like what we have been doing with the Environment and Gender Index (EGI), may provide incentive for governments to take action and improve national data collection and reporting. The “Like a Girl” advertisement that aired on Super Bowl Sunday was inspiring. And so are the many women and girls across the globe who overcome seemingly insurmountable odds on a daily basis. Let us not forget what it means to act “like a girl” – not just athletically, but in terms of human prosperity and a more just world.